The Share Driving Licence service categorises information via a series of tabs. The “your details” tab contains basic facts such as the type of licence, its date of issue and when it expires. Confirmation of name, address and date of birth can be found here too. The “vehicles you can drive” tab – via categorises such as B1, K and L – highlights the classes of vehicle the licence relates too. It differentiates between your full and provisional entitlements. The “penalties and disqualifications” tab confirms you have (say) three penalty points but have not been disqualified. 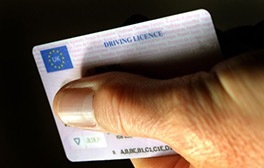 The “share your licence information” tab enables you to reveal facts to a vehicle hire firm or employer of your choice. Simply click the “create a code” button. As the name suggests, this generates a reference that – along with the last eight digits of your licence number – provides one time access to your information. The service also allows you to print a summary that can be presented to the interested party that incorporates the reference code. This entry was posted in automotive, Technology and tagged chrismacgowan, christopher macgowan, DVLA, licence. Bookmark the permalink.